It was an extremely foggy day in London today. I braved it home cycling as it was just starting to rain, but it takes the same time to cycle as to get the tube, and I was dying to get into my PJ’s, have a relaxing night in and carry on with the Borne movies! 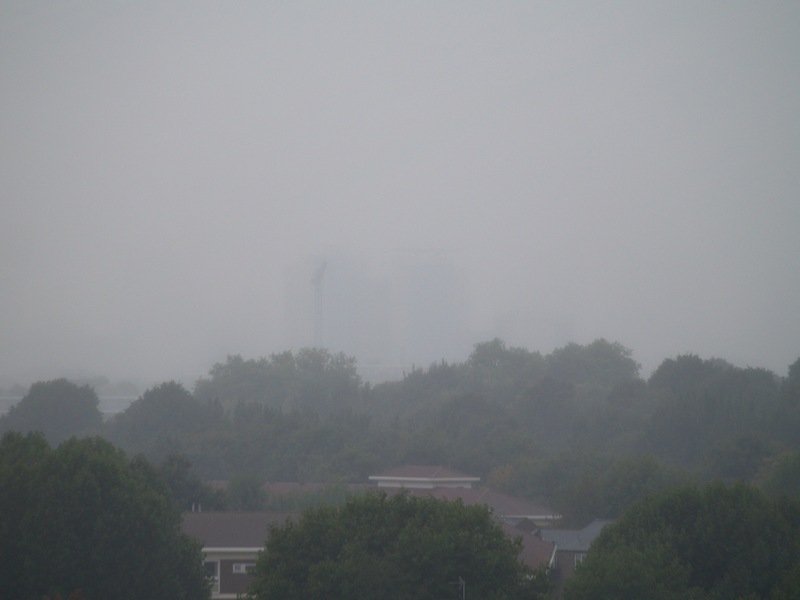 Took this photo from my balcony at around 5:30, you could hardly see the city!